Five teenagers aged 18 and 19, arrested in the early hours of Saturday in a series of raids in Melbourne, were allegedly planning "atrocious" ISIS-inspired attacks on police and the public next week at Anzac Day events in Australia. Acting Deputy Commissioner Neil Gaughan of the Australian Federal Police (AFP) told a news conference in Melbourne that the plan targeted "ANZAC Day activity in Melbourne which included targeting police officers." The plot was to have involved "edged weapons." "At this stage we have no information that it was a planned beheading. But there was reference to an attack on police," Gaughan stated. "Some evidence that we have collected at a couple of the scenes, and some other information we have, leads us to believe that this particular matter was ISIS-inspired," he added. Acting Victoria Police Commissioner Tim Cartwright said in Melbourne that the men were allegedly planning “atrocious acts.” According to police, the alleged plot could have been carried any time in the next week. ANZAC Day, which stands for the Australian and New Zealand Army Corps, is celebrated on April 25. It's a national day of remembrance in Australia and New Zealand marking the date of the first Gallipoli landings in 1915, in which thousands of soldiers lost their lives fighting against the Muslim Ottoman Empire, to capture the capital of the Ottoman Empire, Constantinople. The suspects included two 18-year-olds, alleged to have been preparing the attack, another 18-year-old was arrested on weapons charges, while two other men, aged 18 and 19, were in custody and assisting police, AP reported. One of the men, Sevdet Besim, appeared briefly in court on Saturday on a charge of planning a terrorist act. He didn't apply for bail and was ordered to reappear in court on April 24. According to federal Police Deputy Commissioner Michael Phelan, the teens had links to Abdul Numan Haider, an 18-year-old who stabbed two Melbourne police officers and was subsequently shot dead in Endeavour Hills in September. 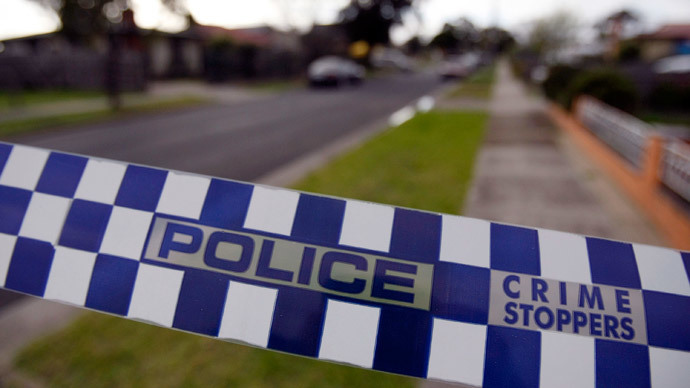 Federal and Victoria Police officers raided properties across Melbourne’s southeast early on Saturday, seizing knives and swords, based on information that attacks were imminent, the Australian reported. Capsicum spray (a chemical compound that irritates the eyes to cause tears, pain, and temporary blindness) was used in the arrest of one man in counter terrorism raids, Australia's Herald Sun reported. “I am aware that OC spray was deployed against one of the men, that I think, is the extent of the resistance,” Acting Chief Commissioner Tim Cartwright was quoted as saying. Three of the five teens were injured, with one claiming he received a minor head injury. “High risk searches, high risk raids at three in the morning, in the dark, I’m not surprised again that some of them needed medical examination,” Cartwright told the Herald Sun. Police are currently communicating with the families of the young men. “One of the interesting things we see so often in these investigations, families may not be aware of what’s been going on," Mr Cartwright noted. Police said the teens had been on officials' radars for months, but it was time for action when it turned out they were planning a specific attack. "This is a new paradigm for police," Michael Phelan said. "These types of attacks that are planned are very rudimentary and simple. ... All you need these days is a knife, a flag and a camera and one can commit a terrorist act," he added. The latest operation involved up to 200 police officers and was the culmination of a month-long operation code-named Operation Rising. Searches at several addresses and investigations are still continuing, local media reported. Authorities said that security will be stepped up during the Anzac Day commemorations, and police presence will be visibly increased. “This is not an issue of how you pray or where you were born. This is not about those issues. This is simply evil,” he said. Prime Minister Tony Abbott said in February that the terrorism threat in Australia had risen dramatically recently, with one-third of all terrorism-related arrests since 2001 occurring in the last six months. At least 110 Australians have gone to Iraq and Syria to fight alongside extremists, with the nation's security agency conducting over 400 high-priority counterterrorism investigations - more than double the number a year ago, according to Abbott.